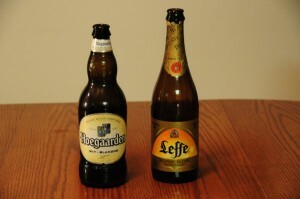 On today’s show we get to hear the crew try out Hoegaarden Wit-Blanche and Leffe Blonde. 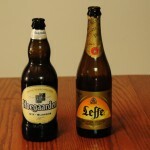 We have to ask, is it really fair at all to compair two different Belgian brews? Well listen to find out! Posted in Blind Taste Testing (2011 - 2013) and tagged Belgian beer, Blonde, cheap, Hoegaarden, Leffe.